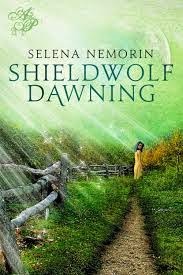 “Shieldwolf Dawning,” by Selena Nemorin, is an engaging dystopian novel that, in addition to entertaining, sets up opportunities for doing philosophy with children. Siblings Cassian and Samarra live in a society where the rich live behind tall walls and the poor try to survive in the Badlands. Samarra finds life behind the walls unbearable, so when Samarra finds a green tablet that will take them to another world, she jumps at the opportunity. The siblings escape to an alternate world where life isn’t grounded in the reality they are familiar with. Soon, they find themselves caught in the crossfire of a magical war. When Cassian is kidnapped, Samarra faces a number of ethical decisions that have far-reaching consequences. Selena Nemorin has written the novel in a way that makes it incredibly engaging while also teaching important lessons. The novel touches on a variety of philosophical topics, from moral judgment to environmental stewardship. The plot encourages the reader to inquire about thinking habits. Selena Nemorin does an excellent job of seamlessly and organically incorporating themes into the text. This would be a great book to be read by a class and used as a base for philosophical discussion, although it also can also be informative when read individually. A recommended read for anyone who wants to do philosophy with children. Kudos to Selena Nemorin for writing such a deep, thoughtful novel!